Did you hear? New York passed a law recently that will require nurses to earn their bachelor’s of nursing (BSN) within 10 years of getting their nursing license. The law is known as “BSN in 10,” and it’s important news for anyone thinking about starting an RN to BSN online program. While the BSN in 10 law has only passed in New York so far, its impact will be felt wide and far. The law is a signal that more states—and more employers—could soon require all nurses to have their BSN. The calls for nurses to be BSN-prepared are not new. The American Nursing Association reports that in 1964, the American Nurses Association House of Delegates said baccalaureate education should be the educational foundation of nursing. That same group took the same position again in 2000. Then there’s what happened in North Dakota in 2003. The state passed a similar law to BSN in 10, requiring all nurses have a bachelor’s degree. The Roughrider State overturned the law shortly afterward, however, because it was going through a nursing shortage. Experts don’t expect the same fate in New York. In fact, most people are expecting the opposite. Since New York is so big and, according to the Bureau of Labor Statistics, the New York-Jersey City-White Plains metro area employs the most nurses in the country, people who watch nursing trends expect that more states will follow New York’s lead. New Jersey is said to be already planning a similar move. So, what else do you need to know about BSN in 10? Right now it only applies to nurses who work in New York. More importantly, the law only covers new nurses who will start their education after June 19, 2019 (that’s 18 months after the law went into effect). Current RNs and nursing students are grandfathered in. So as of right now, most working nurses in New York do not need to run out and get their bachelor’s degree (though we think you might want to consider it. More on that below!). Lastly, there is a temporary committee that will be looking at the barriers to meeting the requirement, and they’ll be creating a report for New York’s governor within a year. What’s This Have to Do with BSN Programs? You want to work in New York someday. The only excluded nurses are those who currently are licensed in New York right now. So, if you think a move to the Empire State is in your future, an RN to BSN program can help you gain the credentials you need. You are a travel nurse. 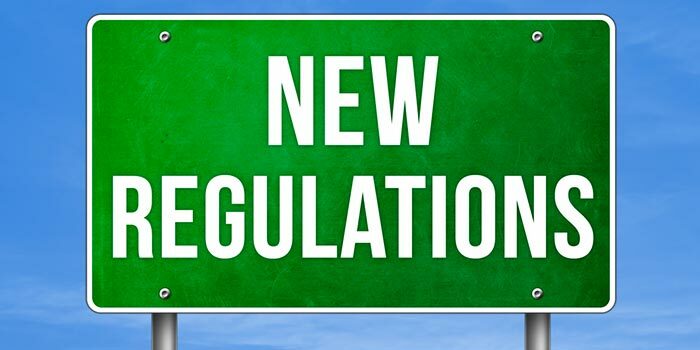 Just like someone who’s going to move permanently to the state, travel nurses who don’t currently have a license in New York will also need to follow the new rules. Check with your travel agency before making any decisions, but the chances are high you’ll need your BSN to practice in New York. You can’t afford or don’t have time for a bachelor’s program right away. Let’s be real; not everyone can enroll in a bachelor’s program right away. It may be an issue of time or money, or maybe the program you’re eyeing has a long waiting list. Earning an associate degree now may be the only option for some nurses. But that’s still a step in the right direction, thanks to RN to BSN programs. And if you choose a program online, it’s more likely you can keep working while you get that coveted BSN credential. You want to stay ahead of the curve. The shift in New York is the first in a line of dominoes. More employers will start requiring a BSN, and some may not give nurses 10 years to do it. Healthcare and patient care are getting more complex, in part thanks to the aging Baby Boomer generation. Nurses are also working more in multidisciplinary teams. New colleagues like PTs, OTs, STs, PharmDs, and social workers all have their bachelor’s degrees – and often their master’s or doctoral degrees. While it’s tough to admit, nurses who don’t have their bachelor’s degrees might not get the respect they deserve in these teams. All these factors, plus studies about the increased level of care and job satisfaction, are pushing more employers to increase their expectations of nurses. If any of the above reasons resonate with you, enrolling in an RN to BSN program might be a good choice. If you choose an online option, you’ll have the flexibility to move at a pace that works with even the most complicated schedule. No preset class times, No due dates. No group projects. Want to hear more about the online RN to BSN program at the Madison School of Healthcare? Talk to an admissions advisor today! You Earned your Associate Degree in Nursing, Now What?